The European Parliament's Committee on Transport and Tourism rejected the two reports regulating the ban on resting in the cabin trucks and the posting of drivers in cross-trade operations. This was announced by the Minister of Transport, Information Technology and Communications, Rossen Jeliazkov, following today's vote on the Mobility Package I in Brussels. The Minister specified that only 1/3 of the Package was accepted - the report on the return of the vehicle in the home country and cabotage. "The situation is better than it could have been, but it creates uncertainty because there is no such other precedent - when voting for system solutions in a Package, the smaller part of the package to be accepted and the other - rejected" Minister Jeliazkov said. He announced that it is expected next week the group coordinators in the EP to decide whether to allow so voted legislative proposals for consideration in plenary. Minister Jeliazkov recalled that the Council of EU Transport Ministers under the Austrian Presidency adopted a General Approach that firmly rejected the text on the return of vehicles and today this text was voted on in the EP Transport Committee. He expressed the belief that if this report came into plenary in one form or another, we would receive support from the European Commission for the deletion of these texts, as the measure is disproportionate. These texts are protectionist, divide Europe and violate the EU's basic principles of a Single market, free movement of people and protection of competition, the Minister added. “Our position, which we will insist before the political groups, is that Mobility Package I should not enter the EP or the rapporteurs should withdraw, given the situation”, said also the Transport Minister. According to him legislation in the field of road cargo transportation is necessary in order to avoid market fragmentation such as that observed in France, Germany and other countries by imposing internal prohibitions and rules. 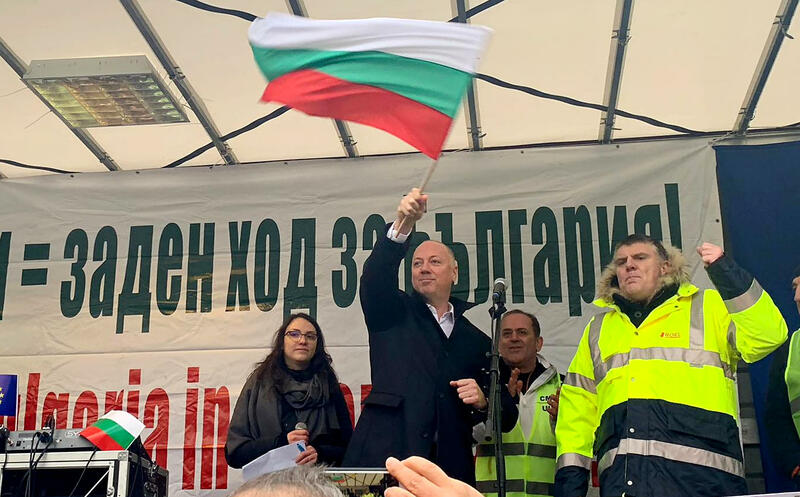 Rosen Jeliazkov was categorical that the Bulgarian side will insist on the European Commission to continue the infringement procedures against these rules, violating the fundamental principles in the EU.